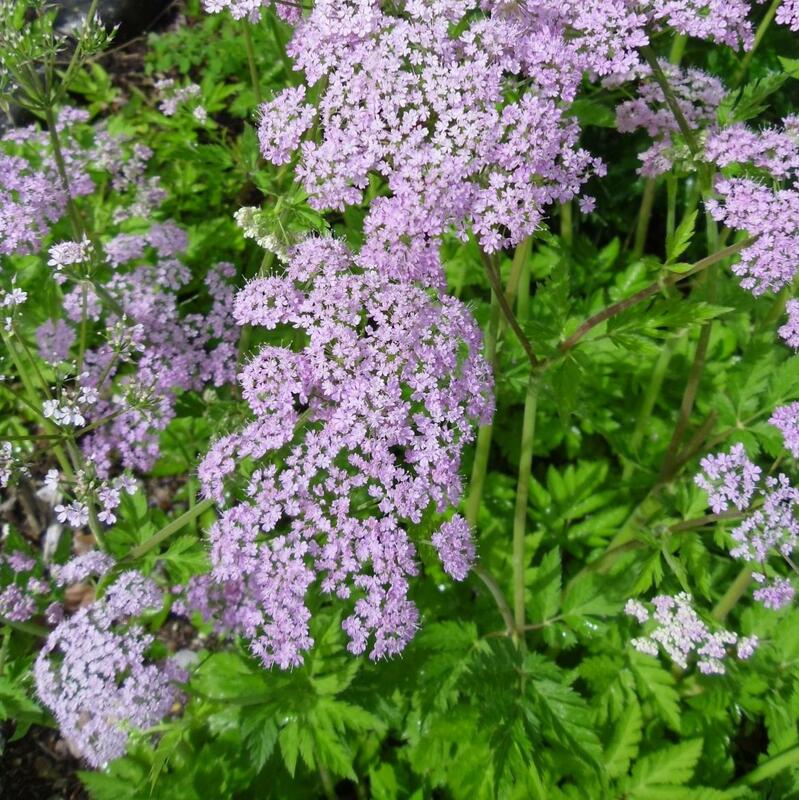 Chaerophyllum hirsutum ‘Roseum’ is one of the most divine umbellifer perennials with distinctive colouring pink cow parsley heads of flowers. Known as the ‘Hairy Chervil’ the leaves are soft in a similar way to Sweet Cicely, light green in colour and delicately apple scented. 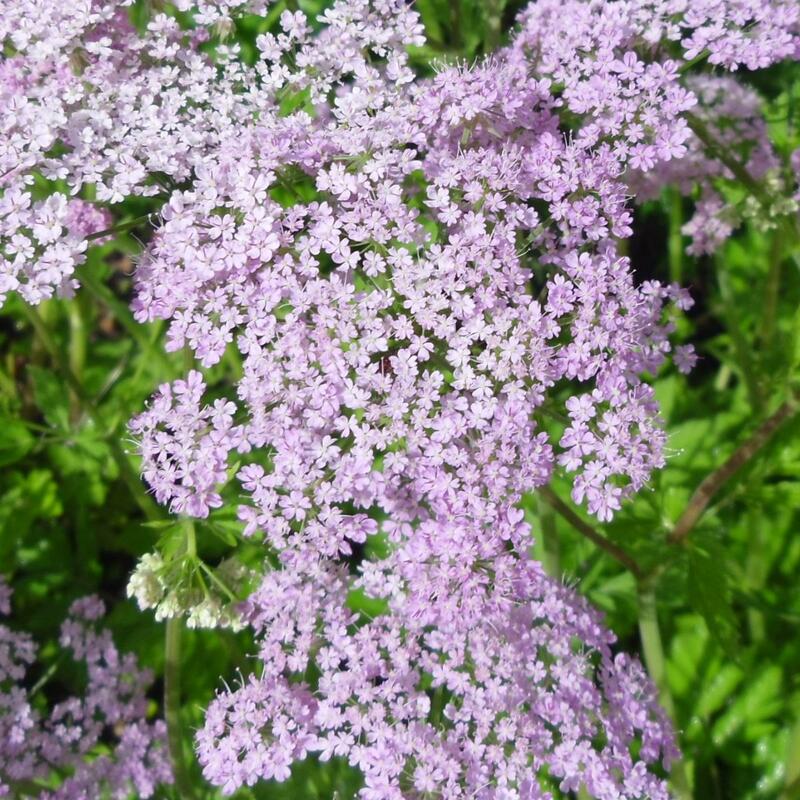 The flowers are sugary pink in multiple umbels which start appearing in spring through into the early summer. It is a very easy perennial for any good soil, preferring to be on the moist side. 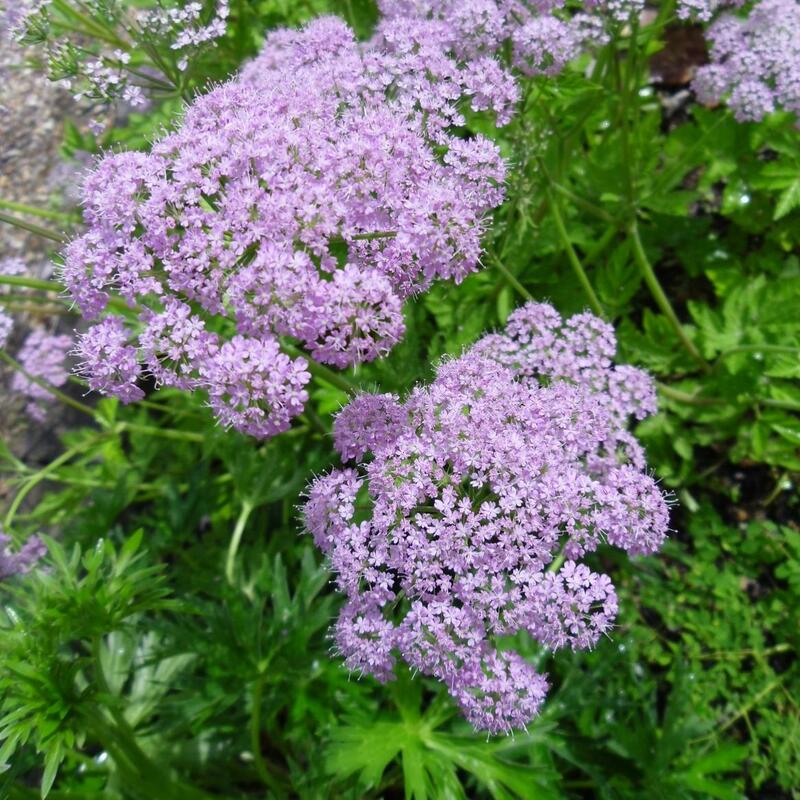 A must for any serious umbel lover, but also just a really decent easy perennial for early season effect in any garden, tolerating light shade and at home with other border perennials and ornamental grasses. It flowers at 45 to 60cm, and forms over time good sized clumps.